Do you experience mood-swings or pain during your period? Fertility problems or irregular periods? If so, your cycle is talking to you. A big part of connecting back with the Feminine Energy within is beginning to live life by our individual Moon cycles, rather than society’s schedules. As radical as it may sound, once you learn this, your whole world will change, as you start to honour your own energetic highs and lows and plan your life accordingly so it flows with you, rather than against. Whether you are an entrepreneur, creative, mum or all of the above, we can’t tell you how much smoother life gets once you learn how to listen to your own unique cycle and honour it, just like the seasons. 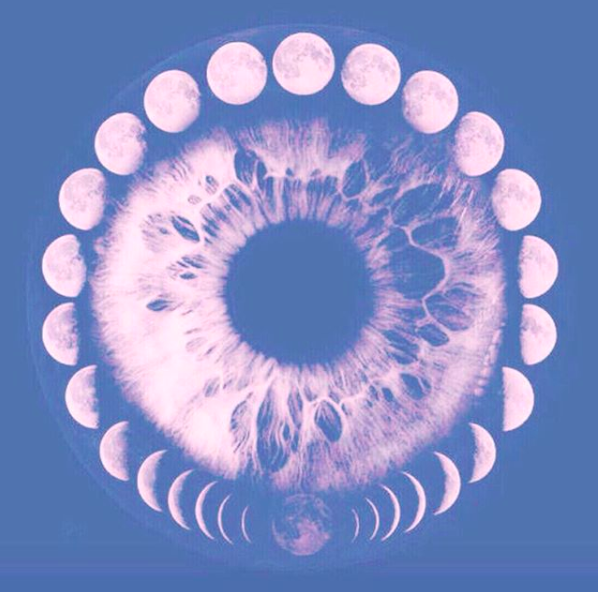 As women, we are gifted with a mini-moon that lives inside of us, and follows the 28 day lunar cycle, as if Mother Nature gave us a constant reminder of just how connected we are. In the modern Western world, many women find themselves disconnected from their natural cycles due to birth control and a build-up of artificial hormones, which can lead to a disconnection with the inner Feminine, and in turn provoke problems with fertility, painful periods or early menopause. Whatever stage of your life, reconnecting with your natural cycle puts you back in a powerful place. There are many ways you can honour this wisdom within and start to tune back in with your body. And for all the men reading this, who got this far, hurrah! We need you too, to help us honour these cycles, and support the women in your lives to reconnect with this ancient wisdom, for it is so connected to the wellbeing of our Earth. Finally, if you have experienced an abortion or miscarriage that was never fully dealt with, or experienced a form of sexual or emotional abuse that has left you disconnected from your womb and sexuality, we offer specialist healing sessions to support you with this. Full details on our private clients page. This private consultation is designed as a total gift for your Feminine. After an initial consultation over a cup of ceremonial cacao, you will learn how to track your unique cycle, understanding how to optimise your life, as well as connect with the unique guiding goddess archetypes in your life, based on the system of numerology. You leave with a blue-print to empower your future, practical guidance, as well as tailored daily ritual to support your wellbeing through the fluctuations of your cycle. This is a life-saver for busy ladies and female entrepreneurs, enabling you to optimise your energy and plan you life according to your cycle. If your first bleed was anything less than sacred, then help us bring the joy and wisdom back into this monumental transition time from girl to woman. Perhaps you have a daughter, sister or friend approaching this pivotal step. If so, we hold First Moon Ceremonies for girls who are coming towards their first period, or have experienced it in recent years. Our experience is that marking this special moment with attention, celebration and ceremony makes all the difference. ‘My First Moon’ can be created as a private experience or planned for a group of friends. Along with practical guidance, each girl is gifted with her unique goddess archetype and an introduction to understanding her astrology chart and identifying the gifts she is born with, based on a reading of systems that include Human Design & The Gene Keys (all interpreted in an easy-to-understand way. This is a wonderful gift for daughters, sisters or friends and makes for a unique way to celebrate a birthday, with the option of including a cacao ceremony, dance and treats from our favourite plant-based chefs. Investment: £88. Enquire here for next availability, and pricing for group sessions. The loss of a baby, even by choice, has a huge impact on our emotional and physical wellbeing. Hormones slip totally out of whack and, in our western culture, we very rarely give ourselves the time, space and attention to properly heal. The womb space is left in a state of shock, and how we care for ourselves in the weeks and months that follow can have a profound effect on the rest of our lives. Whether you have experienced a loss recently, or many years ago, it is never too late to address. Our wombs hold much wisdom and ancestral memories, but in order for us to use them as the potent cauldrons of creation that they are, they need to be clear of trauma and open to processing grief. This deep healing and re-connection experience merges together Theta Healing with Mayan wisdom and techniques from Kundalini Yoga to help the body and soul find closure and open up to the new. Every Full and New Moon, you’ll find us hosting ceremonies, Moon Lodges or circles somewhere around the world. Stay tuned on where to join us next via our events page, or perhaps you’d feel called to host your own Moon Lodge? If so, we can provide you with our wisdom kit to kick of your own circle wherever you are in the world. And for further inspiration, weekly tips and ongoing empowerment, join our Moon Sisters Facebook group.